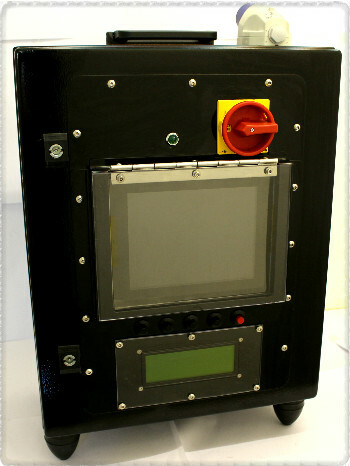 Panel PCs: Real time weld monitoring with the ARCHMI-808P! IPWL having developed the most advanced integrated ARC welding data logger and monitoring system needed to identify a way to display this data locally. But what could survive the extreme environments usually only reserved for the toughest welders? Fortunately help was at hand and they were referred to DSL by Db Show Control and Automation who had already seen the quality and robustness of the ARCHMI range! Needing an 8’’ display and exceptional performance, yet still being passively cooled the ARCHMI-808P was identified as a suitable candidate. With a front IP65 screen, 7H hardened glass projected capacitive touchscreen and quad core atom CPU all that was left was a baptism of fire! DSL supplied an evaluation unit to allow the client to evaluate without committing funds, days later the client purchased it outright. Since then there’s been no looking back and DSL look forward to having IPWL as a valued customer for many years to come!